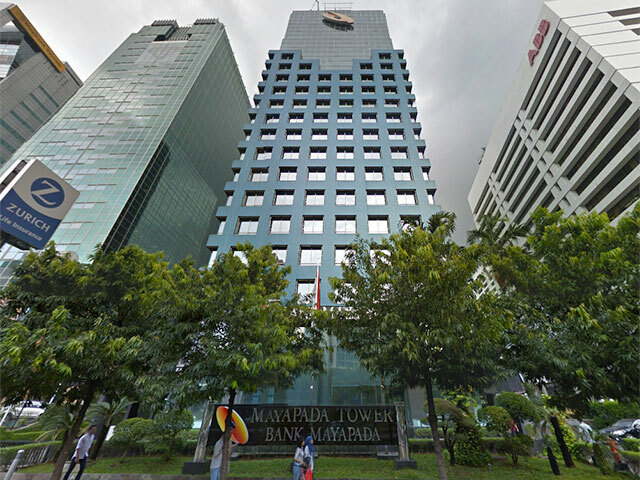 Mayapada Tower located in the heart of Jakarta's Golden Triangle Central Business District, Mayapada Tower (formerly Wisma Bank Dharmala) was completed in 1992 as one of the pioneer high rise office towers in Jakarta with a semi gross of 24,000 sqm rent able area. A new management decided to rename the building and undertook multimillion dollar renovations to meet the standard of newer office towers in the area. Some of the renovations that took place in the following years included: the now blue exterior facade with grand canopies, modernized new design of public restrooms, an expansive lobby hall, and a cleaner look from carpeted corridors to floor tiles.